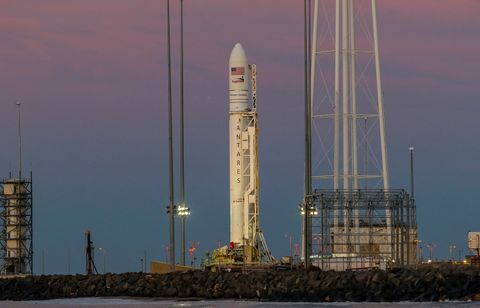 Dulles, Va. – Nov. 19 2018 – Northrop Grumman Corporation (NYSE: NOC) today announced that the “S.S. John Young” Cygnus™ spacecraft successfully completed its rendezvous and berthing maneuvers with the International Space Station (ISS) earlier this morning. The mission marks the company’s 10th successful berthing with the orbiting laboratory. 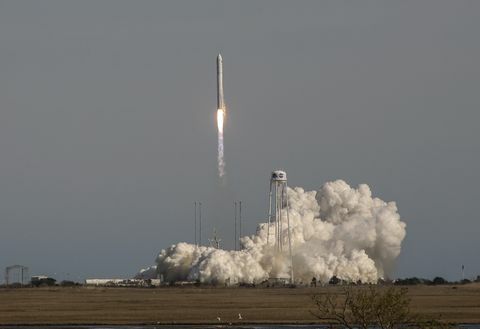 Cygnus launched aboard a Northrop Grumman Antares™ rocket on Nov. 17, 2018 from the Mid-Atlantic Regional Spaceport Pad 0A on Wallops Island, Virginia. 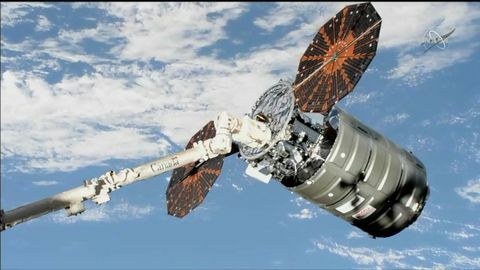 As the spacecraft moved closer to the space station over the following few days, Cygnus executed a series of thruster burns to raise its orbit. Once the spacecraft was in close range, crew members on board the space station grappled the spacecraft with the station’s robotic arm at 5:28 a.m. EST. Cygnus was then guided to its berthing port on the nadir side of the station’s Unity module and officially installed on to the space station at 7:31 a.m. EST.